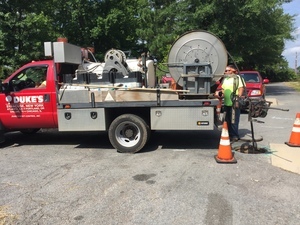 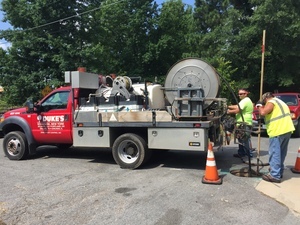 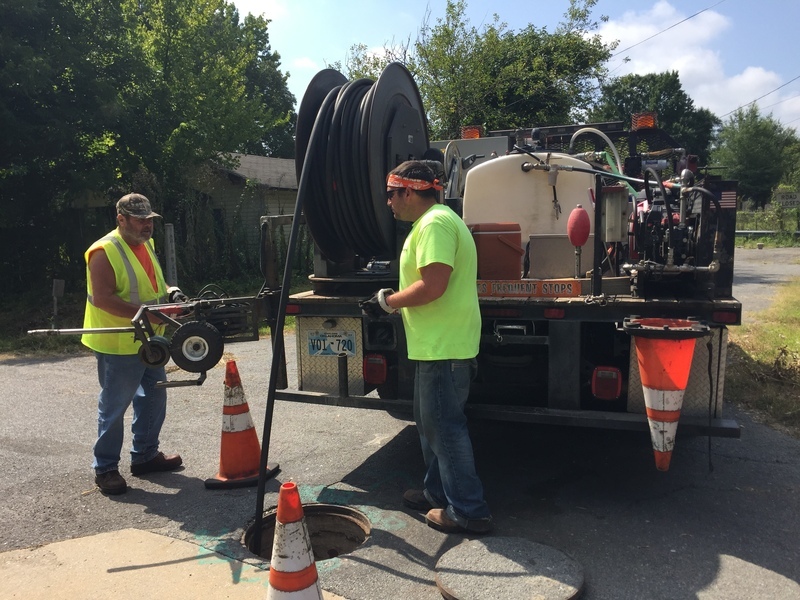 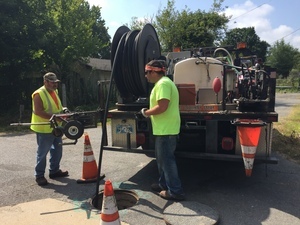 Beginning on July 13, 2017, chemical root control treatment of approximately 11,719 linear feet of gravity sewer main took place in various locations throughout the City of Pine Bluff. 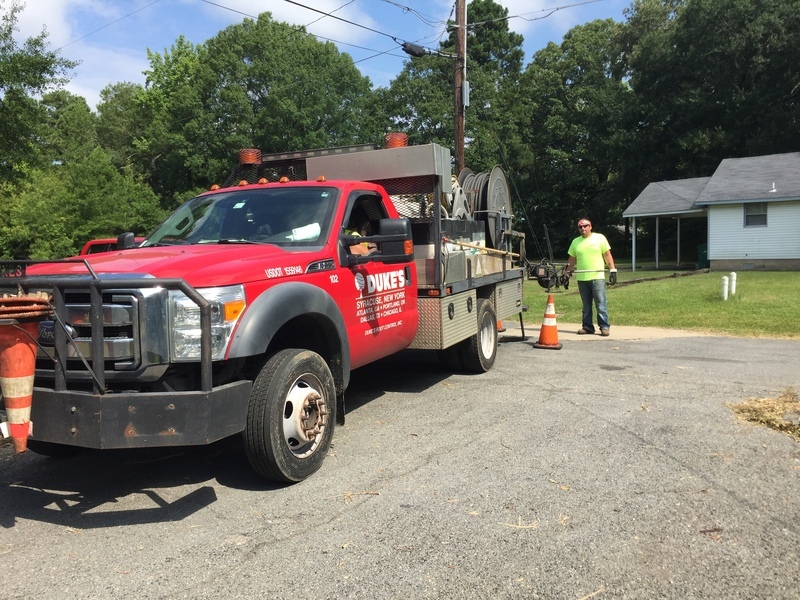 Dukes Root Control crews from Syracuse, NY were in town for three days to complete the project. 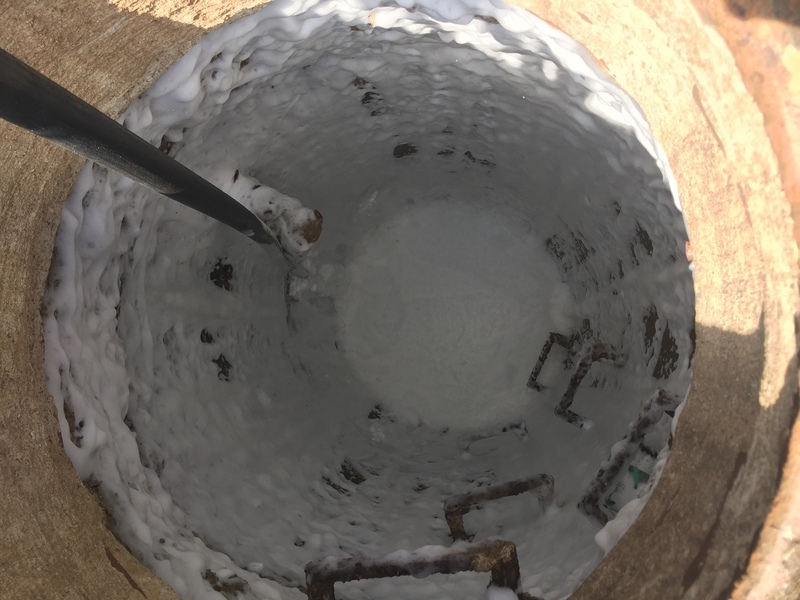 Pipe diameters ranging from 6" - 8" were treated with the only diquat-based herbicide registered by the US EPA for controlling nuisance tree roots. . Tree roots are killed on contact inside and outside of the pipe walls via a thick herbicidal foam. The material does not harm trees and other above ground vegetation, it simply kills the contact points of the roots. Root intrusion is one of the greatest obsticles to a sanitary sewer system. 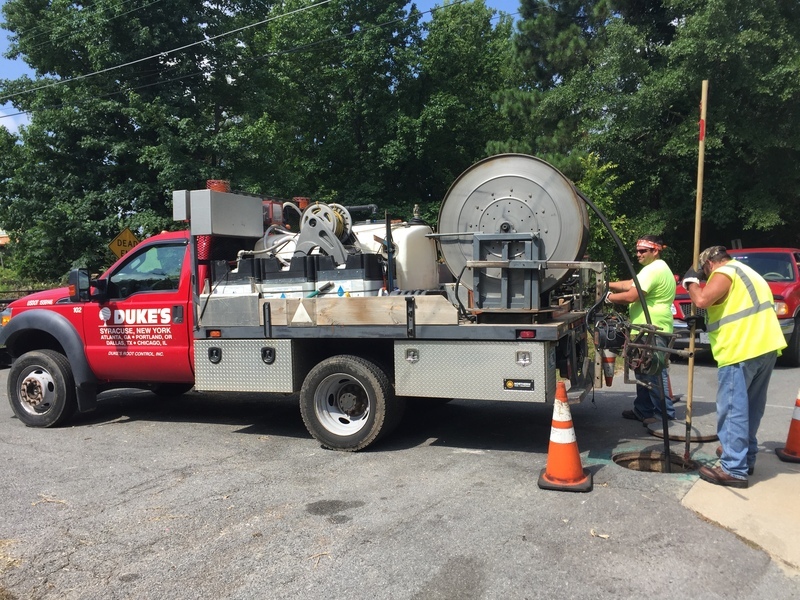 This product is guaranteed for two years and has been a part of the PBWU rehabilitation process for over a decade.